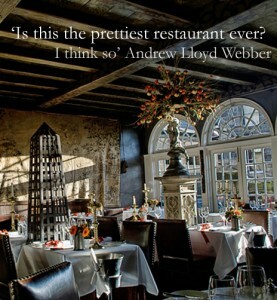 The Witchery, Castlehill, Royal Mile, EH1 2NF. 0131 225 5613, thewitchery.com. Daily 5.30- 11.30pm, Sat & Sun midday-3pm. Ondine, 2 George IV Bridge, EH1 1AD. 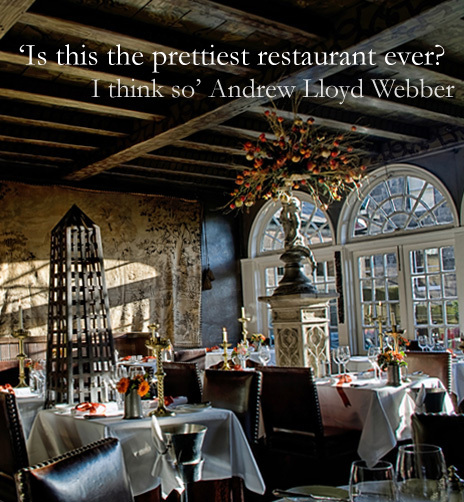 0131 226 1888, ondinerestaurant.co.uk. Festival hours daily midday-3pm, 5.30-10pm. Sweet Melindas, 11 Roseneath St, EH9 1JH. 0131 229 7953, sweetmelindas.co.uk. Mon-Sat noon-2pm and Tues-Sat 6-10pm. Bar Napoli, 75 Hanover St, EH2 1EE. 0131 225 2600, barnapoliedinburgh.co.uk. Sat-Wed noon-2am, Thu & Fri noon-3.30am. 6a Nicolson St, EH8 9DH. 0131 623 1752, spoonedinburgh.co.uk. Mon-Sat 10am-11pm, Sun midday-5pm. David Bann, 56-58 St Mary’s St, EH1 1SX. 0131 556 5888, davidbann.com. Festival hours Sun-Thu 11am-10pm, Fri & Sat 11am-10.30pm. Leven’s, 30 Leven St, EH3 9LJ. 0131 229 8988. Daily midday-2.30, 5.30-11pm.